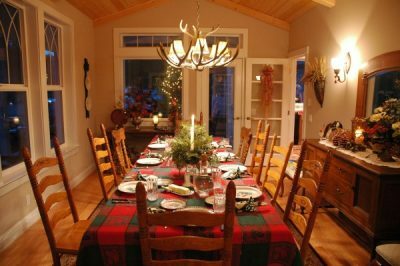 Christmas table settings may be stored and used just once a year, but they are an important part of setting the stage for a traditional Christmas dinner in a log or timber home! 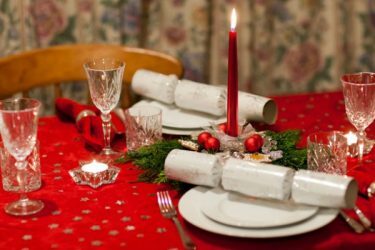 Christmas dinner is the time to bring out your family heirlooms, your antique place settings from Great Grandma, your best tablecloth, and your favorite Christmas table centerpieces. Christmas is a festive time. Bring out the candles. Gather pine boughs, holly and boxwood. And plan on making special foods with colors that complement your Christmas table settings! Name cards for guests help organize your Christmas table settings. Especially if you are having a large party or have invited all the family, name tags will help you place guests where you want them. 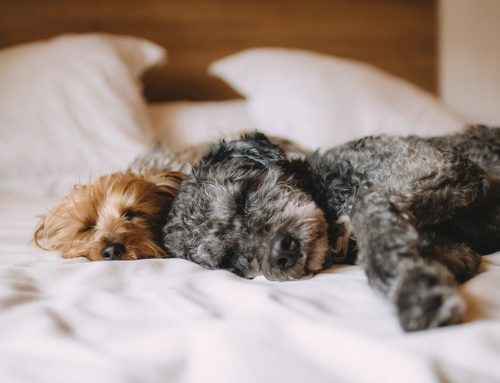 Place guests next to others that have common interests, and quiet guests near outgoing guests who will help them be included in the conversation. 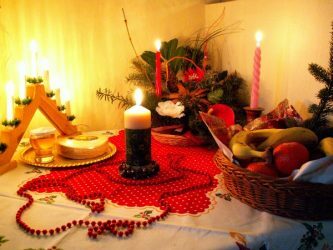 The Christmas table decor in the picture above is simple but effective. A lovely red tablecloth sets the scene. Pretty napkins echo the red color, and crystal glasses let the color dominate. Candles give a subtle glow to the table. A round table can help all your guests be part of the conversation. Have you ever sat at a rectangular table and felt that you missed much of the conversation? This happens often in restaurants, where there is a fair amount of background noise. However, if the table is large, guests at one end of the table may not be able to hear what is said at the other end. And those in the middle don’t know which end’s conversation to follow! A round table could be the solution. Everyone can see everyone else, and guests are close enough to talk with each other. Note the large lazy susan in the middle of the table above. It would facilitate passing food to each other. This table is decorated quite simply. A starched white tablecloth and pretty red napkins. Christmas Table Settings Start with a Tablecloth! A pretty Christmas tablecloth on the table helps to make your Christmas dinner festive! Note the attractive deer antler chandelier above the dining table. Your Christmas table decor starts with a tablecloth. You can use a plain tablecloth, or one with a pattern. The red and green plaid tablecloth above is casual and country. 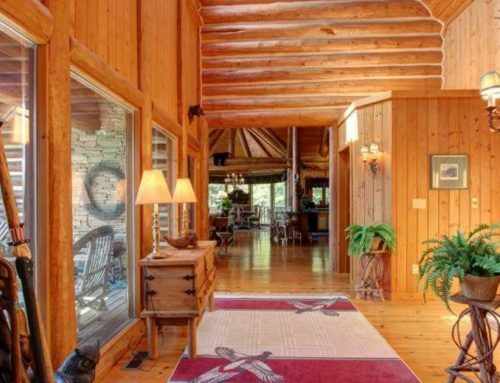 It’s a traditional red plaid, and it sets the mood for the room. 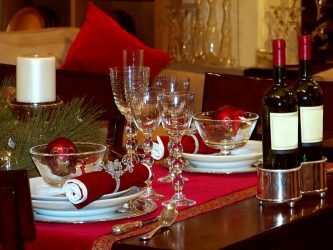 Pretty Christmas dinnerware complements the tablecloth, and the Christmas table centerpiece shown above has natural greenery and candles. Candles add a festive flair to your Christmas dinner table. Of course candles are more magical in the evening than they are at noon. But, winter days are short, and so darkness comes early for most of us. That’s an open invitation to use candles to make the Christmas dinner table enchanting! Candles add ambiance, and they add softness to the light in the room. They help people relax, and they give the room a glow. 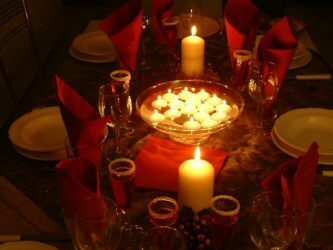 In candlelight, everything looks better, including the people dining at your Christmas table! Candles and fruit on a Christmas dinner table. This is a slightly different approach. A simple tablecloth with holly and berries is topped with a red polka dot Christmas table runner. Candles lend beautiful lighting. This could easily be used as a buffet table. The fruit in the basket are just the beginning. You could have guests serve themselves and then go to eat at another table. One of the advantages of using a buffet to serve dinner, is that your guests will mingle and visit, while they are serving themselves. Candles are an important part of the lovely Christmas table decoration on this holiday table. Christmas table settings with a red tablecloth and red and green candle holders. Christmas dinner is the time to pull our your favorite crystal and Christmas dinnerware and those special serving pieces that you love so well. No sense saving them for a rainy day! If you have them, bring them out for the holiday celebration! Crystal or clear glassware gives your Christmas table a dressed up look. It’s festive, and fun. Crystal makes your guests feel special. Christmas table settings often include a bottle of wine. Wine has become very popular in homes across the U.S. However, even in homes where wine is only served occasionally, you’ll probably find a bottle or two of wine on the Christmas table. Wine is a celebration drink, and, after all, we are celebrating the birth of Christ! It’s historical, too. The Bible tells us that Jesus turned water into wine at the wedding of a friend, when the wine supply was getting low. Wine is a drink that has many years of history. And, taken in moderate amounts, it’s good for your heart and health! 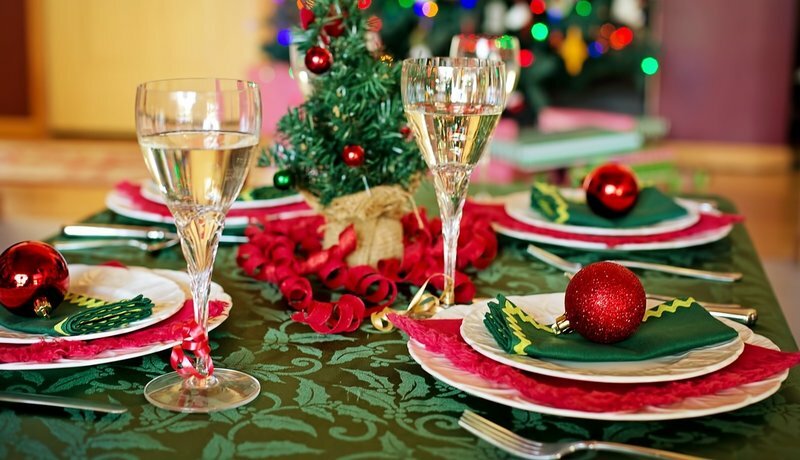 Drink wine at your Christmas dinner table! Christmas table settings with pretty Christmas napkins and Christmas ball napkin holders. This Christmas table decor is very simple, yet effective. 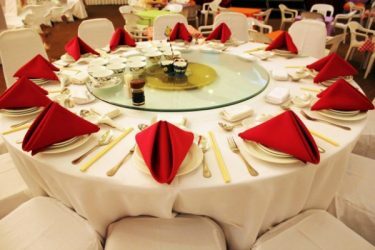 The tablecloth is white, the Christmas dinnerware is white with an embossed pattern, and the colorful napkin with its pretty napkin holder are the decoration. Clear water glasses and wine glasses are seen in the background. The table needs more color. 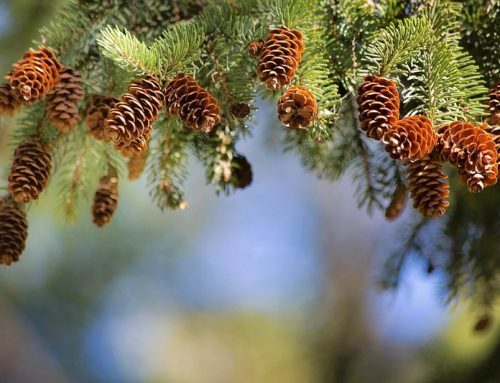 A lovely natural Christmas table centerpiece would be a good choice. It would not compete with the other pieces on the table. 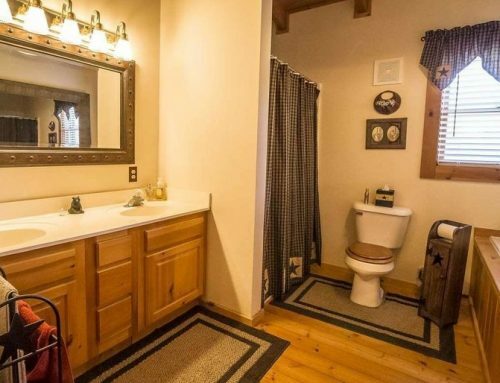 And candles would add a little more pizazz. Christmas table settings with antique Santa Christmas dinnerware. 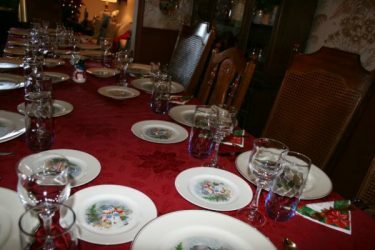 Antique Santa dinnerware is the highlight of this Christmas dinner table. 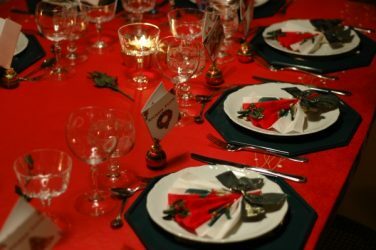 A white damask tablecloth is the base for the dinner, and red napkins complement the Santa dinnerware. A pretty candle Christmas table decoration uses natural pine branches, giving this a homey feel. 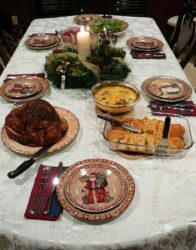 Contrasting colors in the food on the table adds interest to this Christmas dinner table. Christmas table settings with snowman dinnerware can add whimsey to your Christmas dinner. This is a fairly simple Christmas dinner table. The table is assembled around the cute snowman dinnerware. 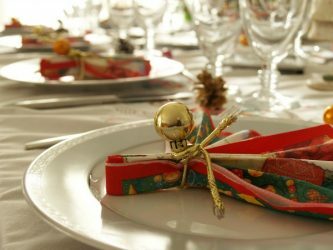 The snowmen add a fun and whimsical air to the holiday table. The red tablecloth highlights the red in the dishes. Clear glasses for water and wine let the snowman dishes take center stage. If you look closely, you’ll see a small snowman on the table, at the far end. It’s too small for the table. More appropriate would be the snowman centerpiece in the picture just below. Additionally, I would replace the poinsettia napkins with snowmen napkins, to complement the dinnerware. Your Christmas table settings should include a pretty centerpiece like this cute snowmen Christmas table centerpiece. Choosing a theme for your Christmas table will make it easier to pull it all together. 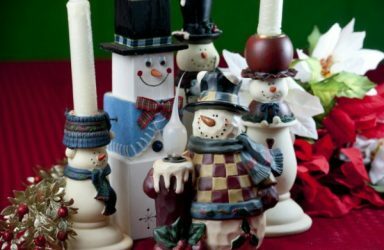 This fun snowmen centerpiece is just one idea for a Christmas table centerpiece. 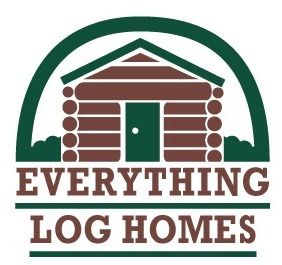 If you live in a log or timber home, you might use a theme that you’ve already used in your home. Perhaps you could include the ever popular moose or bears in your Christmas decor. 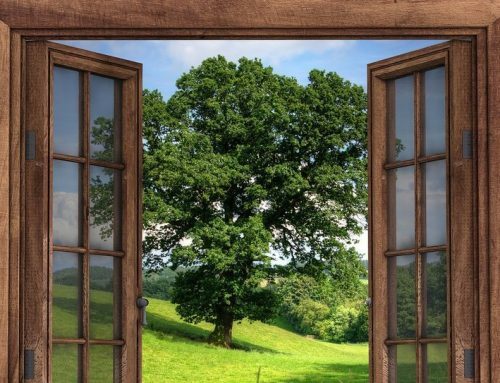 Use natural materials to keep your decor rustic and complementary to your home. Dessert – The Grand Finale to a Christmas Dinner! 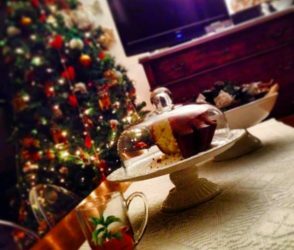 Last but not least, all Christmas table settings should include a place for a fancy dessert. This raised cake plate is a dramatic and appealing way to serve a traditional Christmas cake. Serve your Christmas dinner dessert in style. This raised cake dish adds drama and festivity to the Christmas dessert. Use pretty Christmas dinnerware for your dessert dishes. Or serve each person a plate with dessert and a small sprig of holly for decoration. Use your imagination to make dessert both fun and dramatic!